Devilstone Open Air will take place in Anyksciai, Lithuania on July 12-15, 2012. 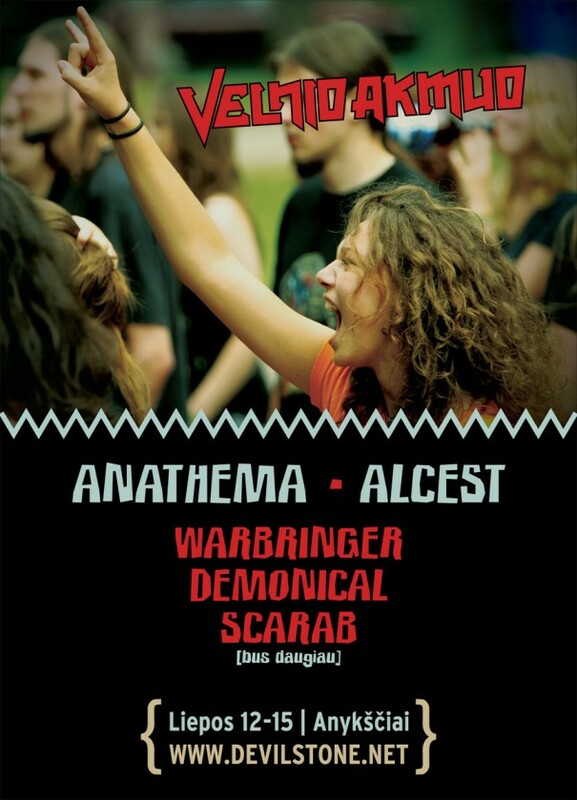 Anathema, Warbringer and Demonical are among the bands that will perform at the Devilstone Open Air 2012 festival. DEVILSTONE Open Air is an extreme and alternative music festival that takes place from 12th to 15th of July in Anykš?iai, Lithuania, on the bank of the river Šventoji. This means four days of creative and active recreation, live music and sport challenges, as well as three nights of fun and relaxation in the spacious campsite that is situated in the shade of pine-trees. The inspiring surroundings of marvelous nature is where creative freedom and crazy spirit of rock’n’roll can truly flourish. Four day ticket price: 23 EUR (to get more expensive later). Tickets for the disabled: 17 EUR (steady price, no need to reserve in advance). Children below 12 years old: No charge (but a grown up attendant is a must). Tickets will also be on sale at the festival entrance / gates.